A cross commemorates those who served in World One. The cross was relocated from Burrowes Street to the Memorial Park in 1965. 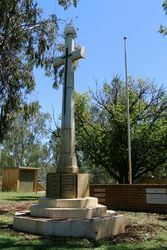 The memorial in the shape of a Cross of Remembrance and erected to the memory of those of Surat and District who had paid the supreme sacrifice in World War One was unveiled on Armistice Day 1931. The monument was a design chosen by the War Graves Commission and two of the panels on the octagon base bear the names of the 14 fallen. The top of the monument is surmounted by a glass globe which has an electric light illumination. 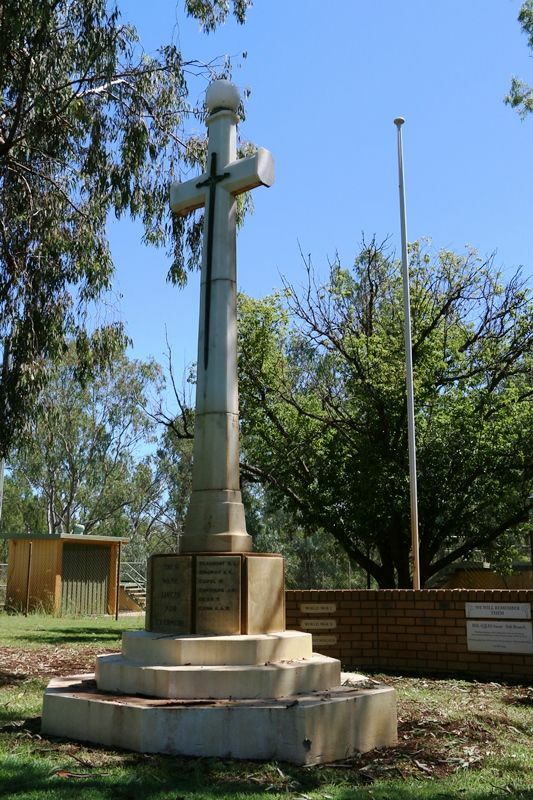 The memorial was unveiled by Councillor Alex Simpson , Chairman of the Waroo Shire Council.